Anchors Away! 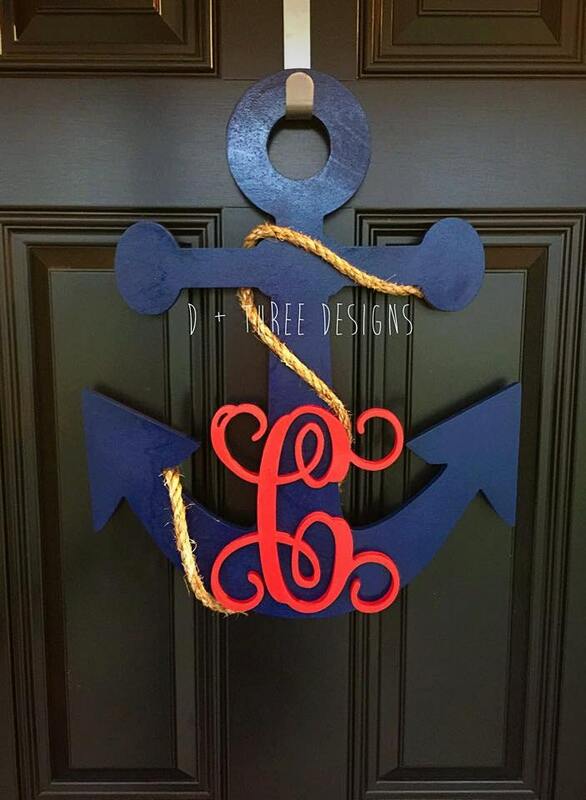 This 20 inch tall painted wooden anchor is made of 1/2 inch birch wood with a personalized monogram + rustic rope. 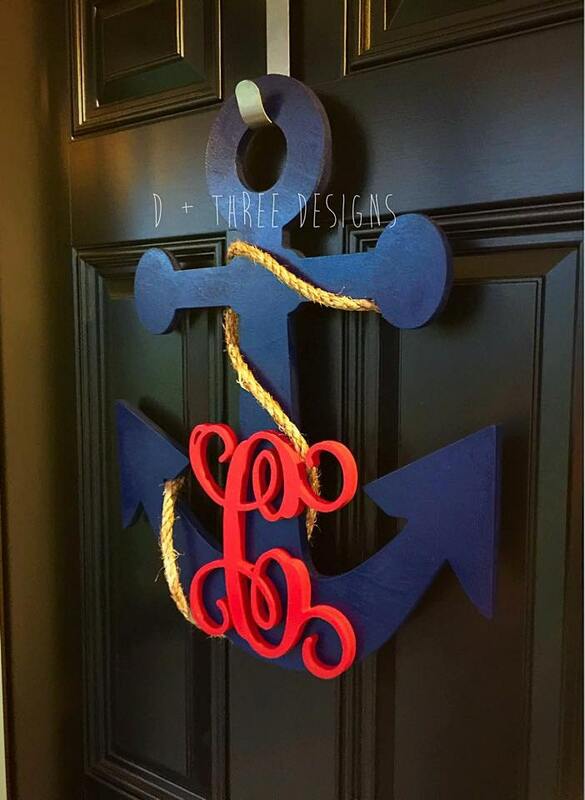 You pick the two colors and let us know what letter you want on the anchor in the notes to seller box at check out. 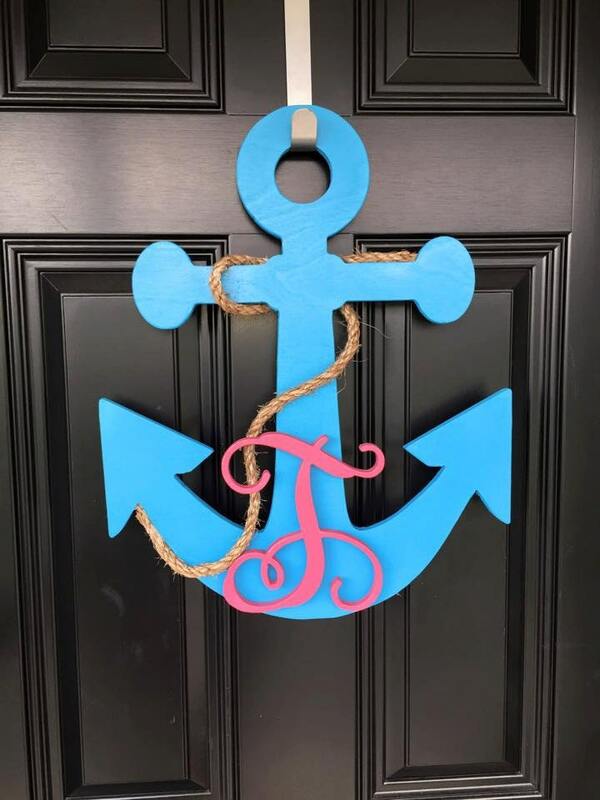 We have several other wooden anchor options so check out our store or send us a message! 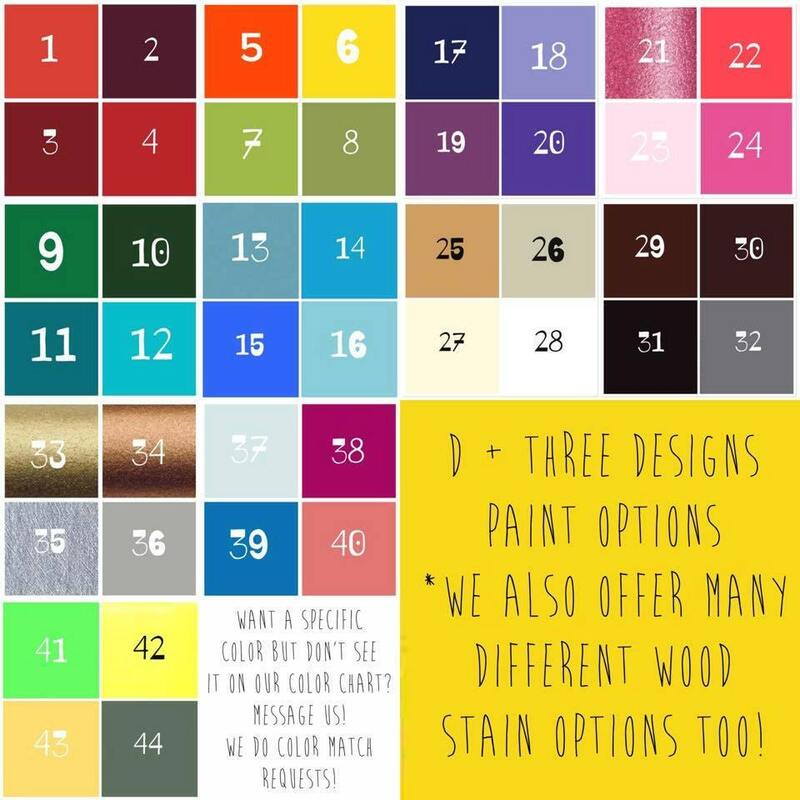 Orders are custom cut as received and usually ship within a week of ordering.